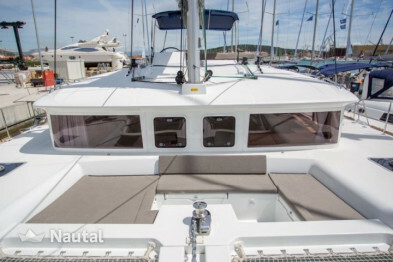 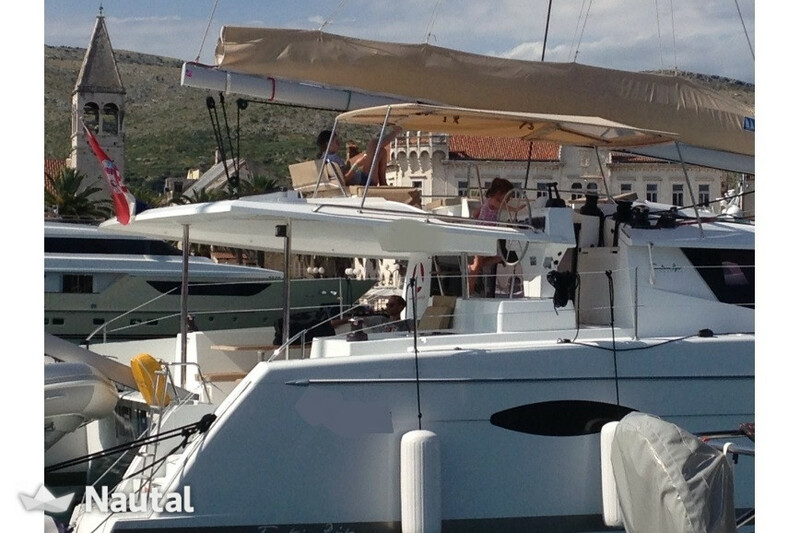 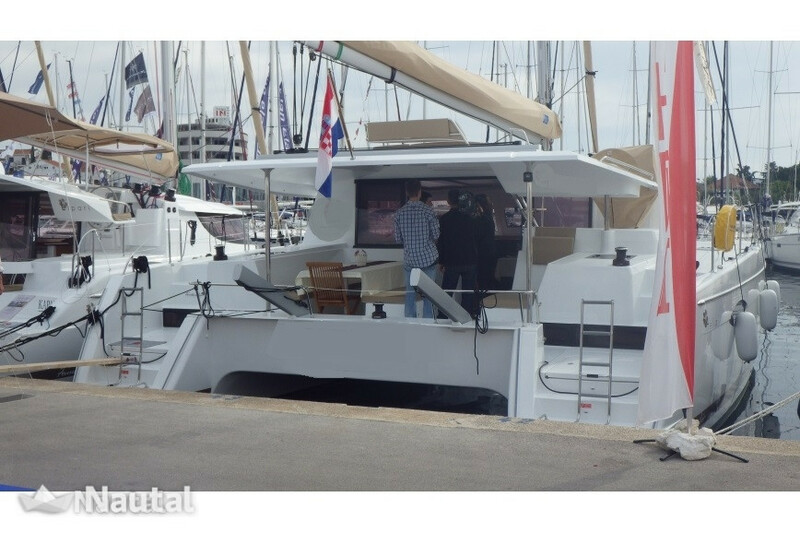 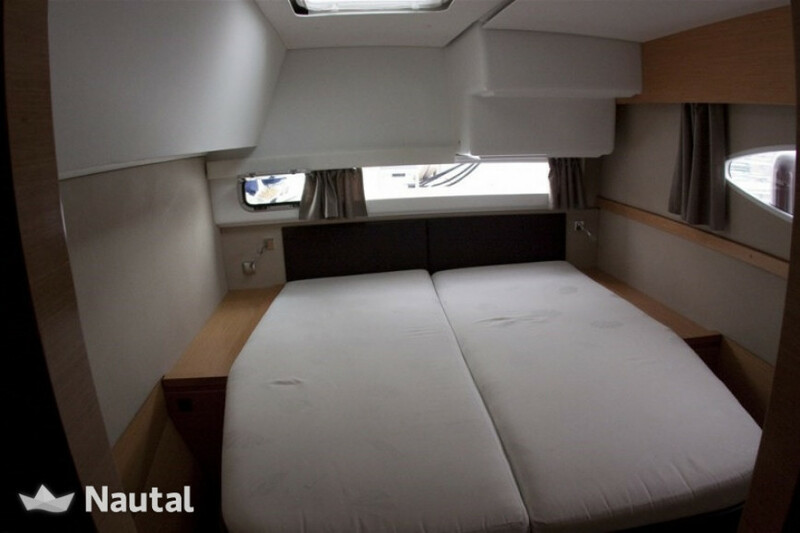 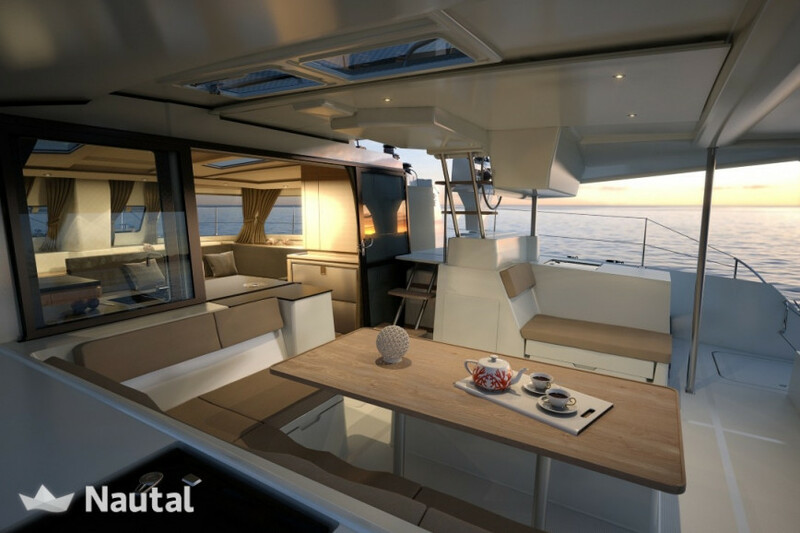 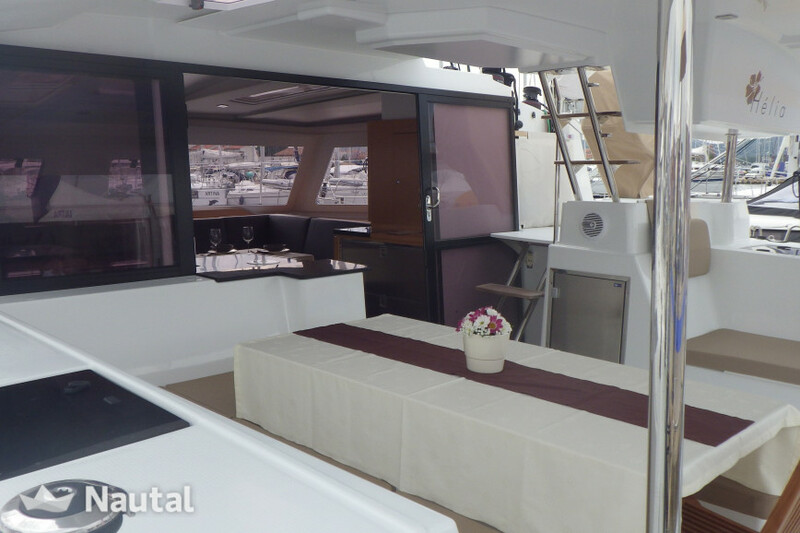 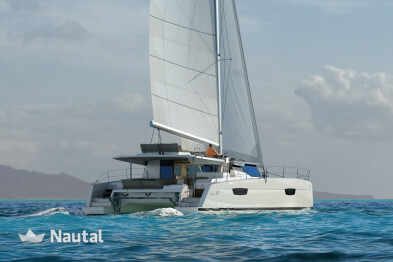 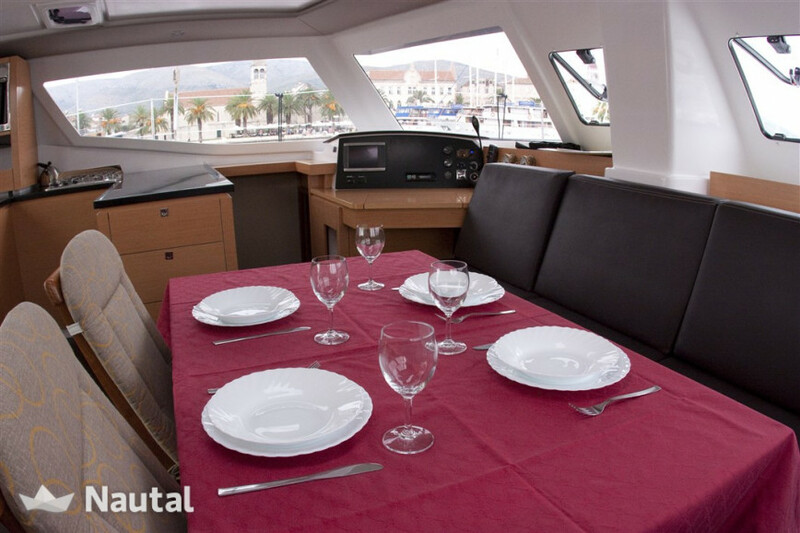 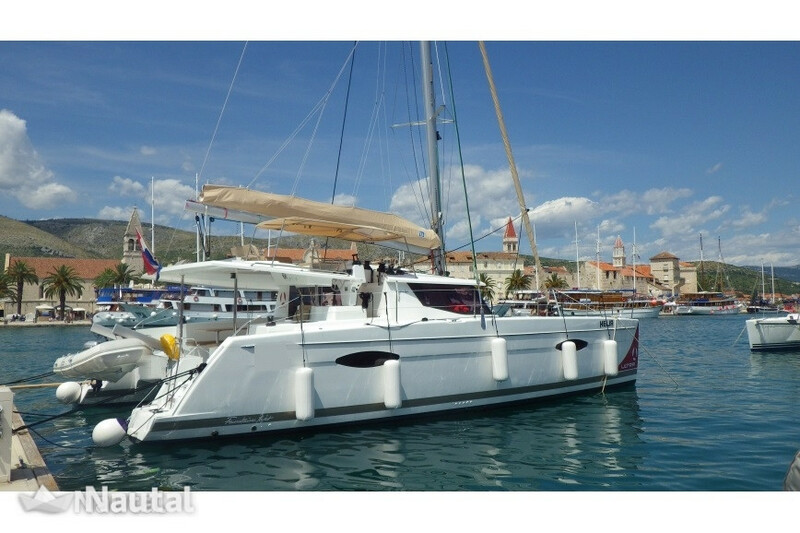 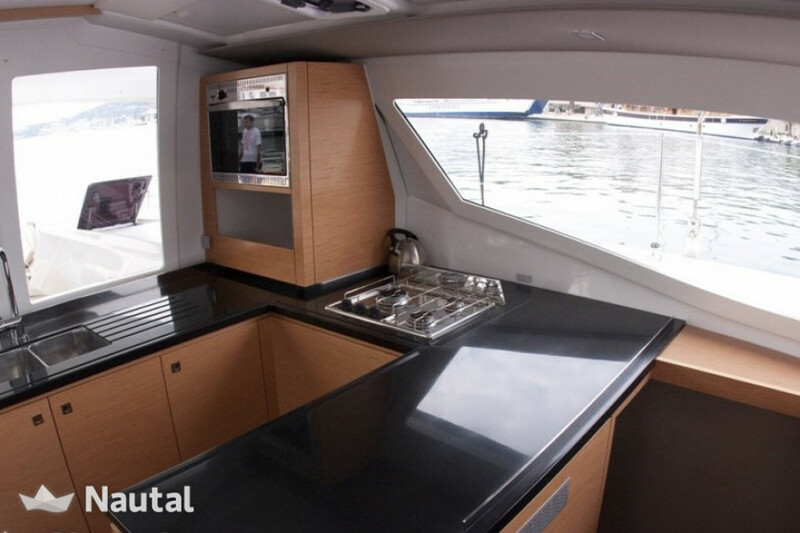 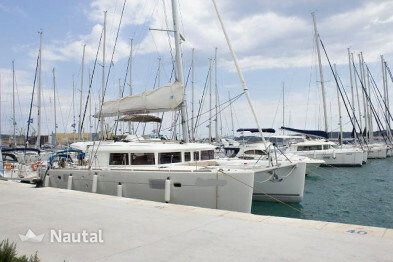 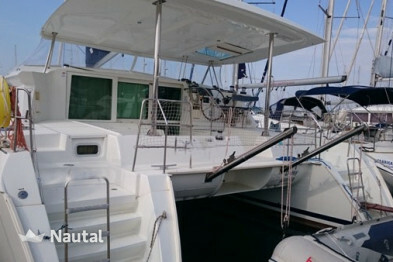 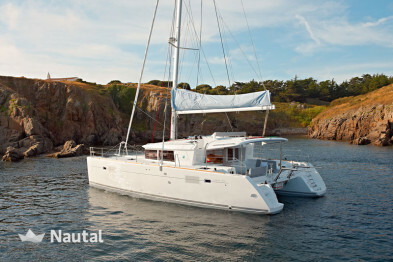 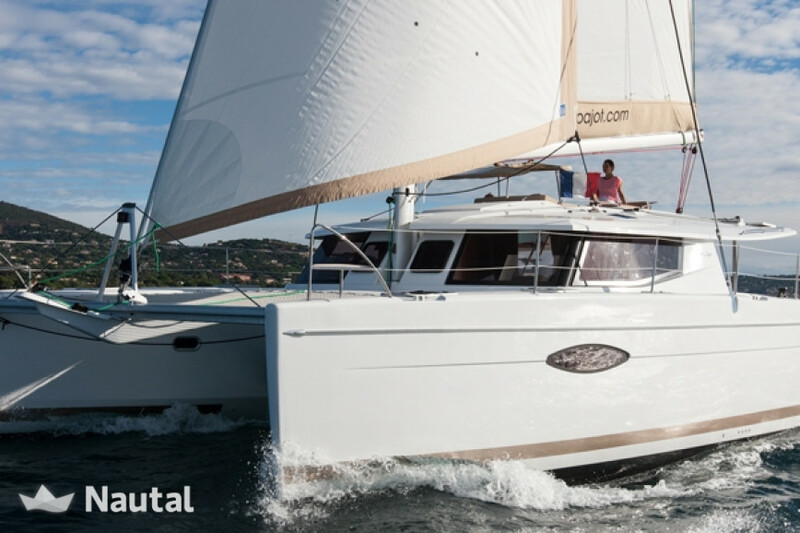 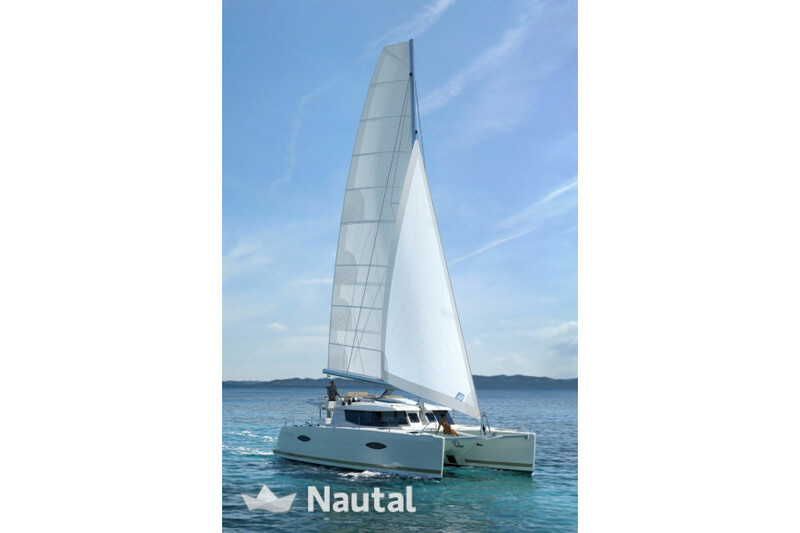 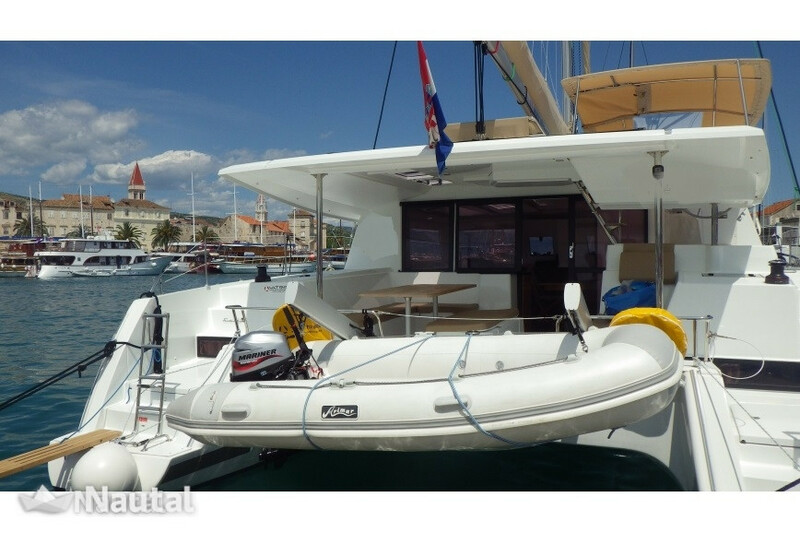 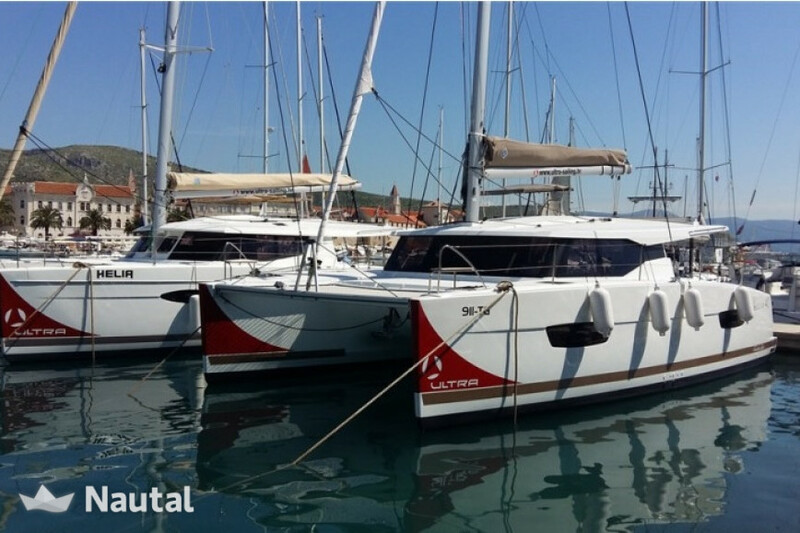 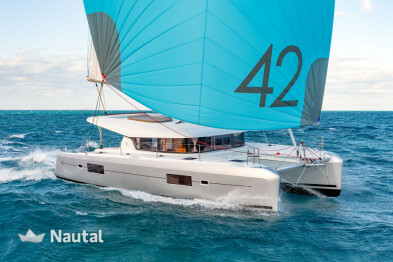 Catamaran with 13.25 m length in Split, Hvar, ACI Marina Trogir. 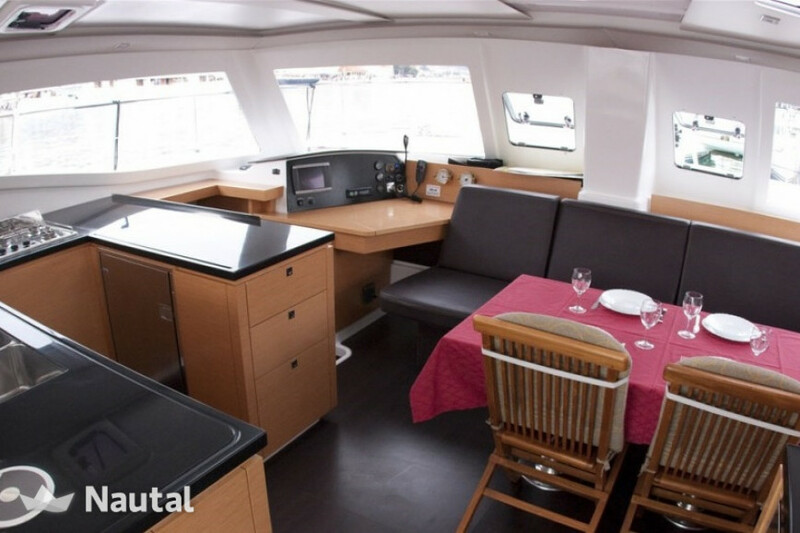 For 10 people, 4 cabins and 4 baths. 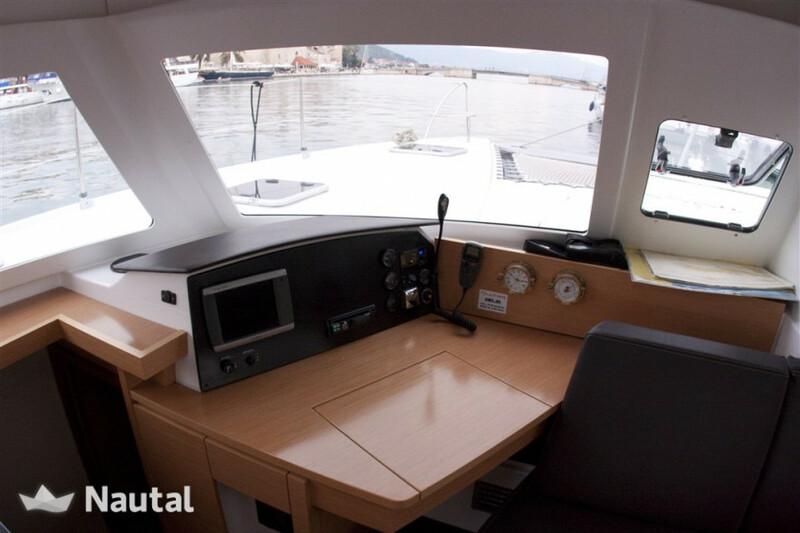 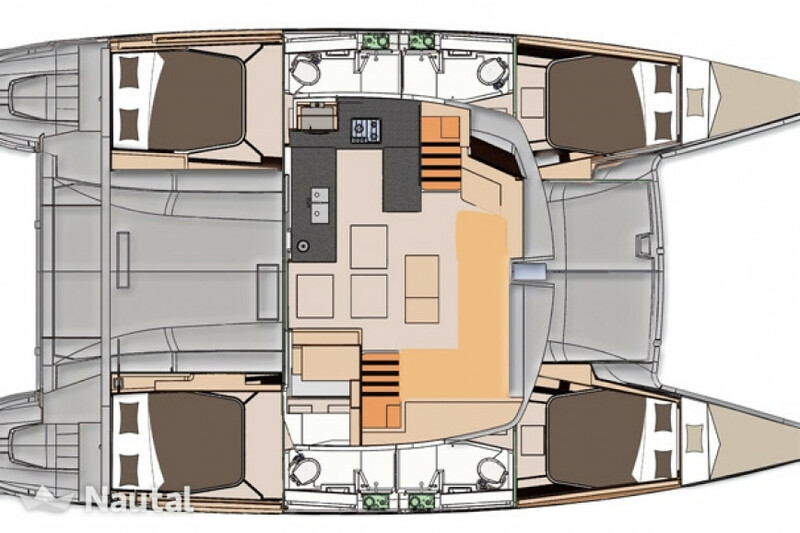 Further equipment: autopilot, compass, GPS, navigation charts, radar, VHF Radio, wind instruments, battery charger, CD player, internet Wi-Fi, radio AM/FM, TV, emergency signals, fire extinguisher, first aid kit, fog horn, life belt, life jackets, life raft, bimini top, cockpit cushions, cockpit loudspeakers, cockpit shower, cockpit table, shore power cable (220V), tiller wheel, dinghy, outboard engine, bed linen, towels, holding tank, hot water, cooking utensils, deep freezer, electric stove, gas bottle, oven, refrigerator, bilge pump - automatic and bilge pump - manual.